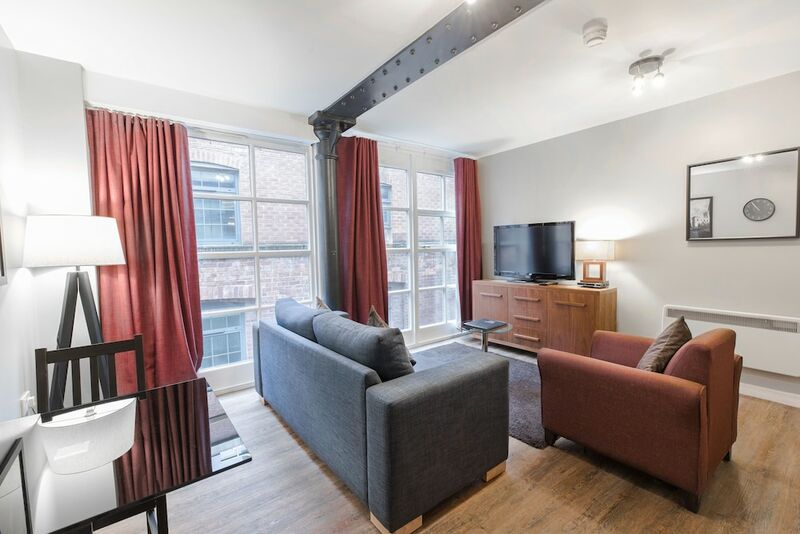 With a stay at High Street Townhouse in Manchester (Manchester City Centre), you'll be steps from Manchester Arndale and 4 minutes by foot from Piccadilly Gardens. This boutique aparthotel is 0.4 mi (0.7 km) from The Gay Village and 0.5 mi (0.8 km) from Manchester Arena. Make yourself at home in one of the 19 guestrooms, featuring kitchens with refrigerators and ovens. Flat-screen televisions with cable programming provide entertainment, while complimentary wireless Internet access keeps you connected. Conveniences include coffee/tea makers and irons/ironing boards, and housekeeping is provided weekly. Take advantage of the aparthotel's room service (during limited hours). Wrap up your day with a drink at the bar/lounge.